Never before have I seen a book so widely hyped with so little actually said about it. The publisher's description is a vague list echoing the choppy, free-verse style the author occasionally lapses into, and it reveals basically nothing. And sure, there are things I don't want to give away, but I don't think it will ruin anyone's reading experience to know a few details going in. So instead of playing into the hype and making this book into something it's not, allow me to provide a bit of background. The Sinclair family is rich. Not just country club rich. Private island rich. They spend each summer together on Beechwood Island off the coast of Massachusetts. On the island are four houses: one for Harris and Tipper, the grandparents, and one for each of their three daughters' families. Narrator Cadence is the only child of Penny, the Sinclairs' oldest daughter. It's all about appearances with the Sinclairs. Reality doesn't matter; it can be twisted and remade until everything looks proper. Cadence isn't supposed to react emotionally when her father leaves; she's expected to plaster on a smile and avoid talking about it. Her aunts and cousins have to live by the rules of propriety and decorum as well. As long as no one points out all the things that are wrong in the family, everyone can maintain the illusion of perfection. Something happens to Cadence in her fifteenth summer on the island. She can't remember what. But she knows that's when the headaches began, the headaches that keep her out of school, erode her friendships, and get in the way of living her life. No one will tell Cadence what happened, no one will fill in the blanks of her memory—not her hovering, overprotective mother, not her imperious, demanding grandfather, not even her three closest friends Mirren, Johnny, and Gat, who always spend their summers with her on the island. This book is about Cadence's struggle to learn the truth of her past. It's a fun ride that you'll probably rush through in an afternoon. It's an entertaining diversion with a creative, well-executed twist. But it's not Gone Girl. The publishers could have given a little more background and cut down on some of the manufactured mystery. By promoting the book the way they did, they set readers up to be disappointed if the book's secrets don't carry the expected impact. My advice? Don't expect this book to change your life or blow the socks off your feet. 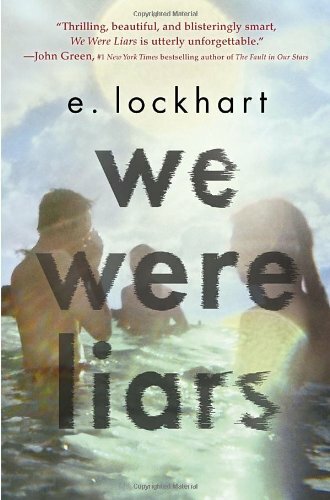 Read it for what it is: a quick, fun summer read from the YA shelf. Isn't that enough?